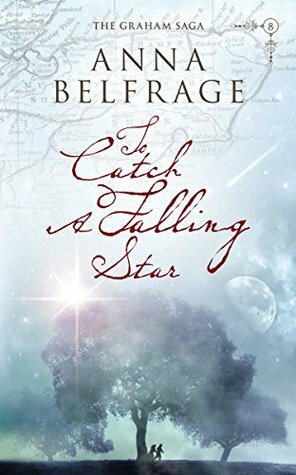 I am sitting here at my desk contemplating my review for, To Catch a Falling Star by Anna Belfrage. This book is the eighth and final book in the unforgettable series about the Grahams. Alas, they are a fictional family but they will become just as real as your own. I must admit my book reviews in the series has been a disappointment to me. Why would I say that? Let me explain. Sometimes when I read books that touch me so much, I’m at loss at where to begin or how to express my feelings of the story. After all, how does one do that when the writer has so brilliantly portrayed the realities of the human conditions in just about any situation you can think of? Belfrage explores all avenues of life. At least it seems to me. Not only that, she gets right down to the core of the harshness and evil of humanity. She does not shy away from it. I marvel at how she goes to those depths unscathed. Now, it’s not all about those sad and unfortunate realities…there is love, joy, goodness, faith of God, forgiveness, starting over, birth, the bonds of family, justice or redemption-if you will- and human kindness. You get both sides. When reading the Graham Saga, you will cry, feel angry, sadness, your heart will race and your chest will tighten. You will smile, feel joy, laugh, feel happiness and will feel the love of family and the love of a mother’s heart. Yes, Anna will truly evoke all these emotions in you and much more. Quite possibly you will be forced to confront emotions you did not know you had or have had to deal with. You will question yourself throughout this series. If I was in that situation, would I do that? How would I have treated that person or handled that situation if that happen to me? Could I go to that extent? Now getting back to writing that review! My review for, To Catch a Falling Star by Anna Belfrage will be posted on May 6th as part of the Historical Fiction Virtual Book Tours. I would also, like to add that Belfrage is a multi B.R.A.G. Medallion Honoree and she will be a returning guest at Layered Pages in the near future. 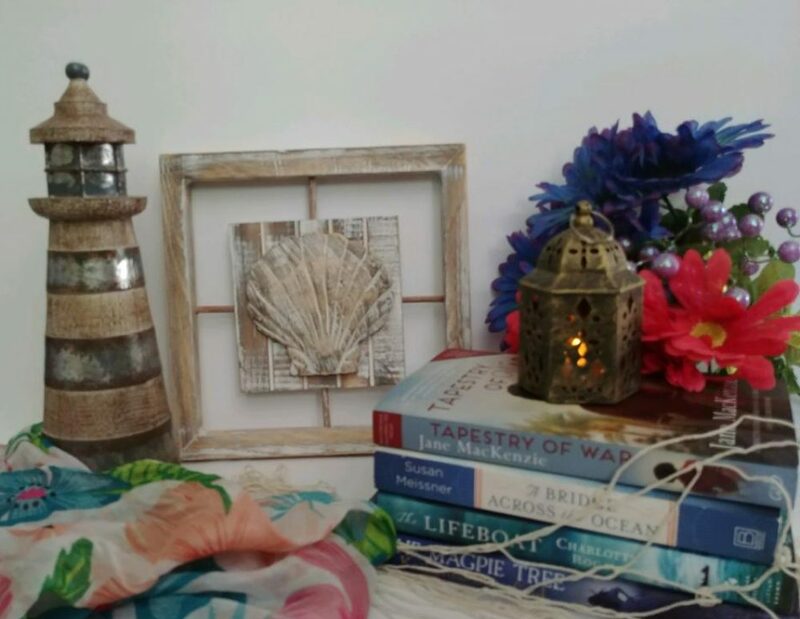 For those of you who don’t know, BRAGMedallion.com is owned and operated by indieBRAG, LLC, a privately held organization that has brought together a large group of readers, both individuals and members of book clubs, located throughout the United States and in ten other countries around the globe. The word “indie” refers to self or independently published books, while B.R.A.G. is an acronym for Book Readers Appreciation Group. It is their mission is to discover new and talented self-published authors and help them give their work the attention and recognition it deserves. For Matthew Graham, being given the gift of his former Scottish manor is a dream come true. For his wife, Alex, this gift will force her to undertake a perilous sea journey, leaving most of their extensive family in the Colony of Maryland. Alex is torn apart by this, but staying behind while her husband travels to Scotland is no option. Scotland in 1688 is a divided country, torn between the papist Stuart king and the foreign but Protestant William of Orange. In the Lowlands, popular opinion is with Dutch William, and Matthew’s reluctance to openly support him does not endear him to his former friends and neighbours. While Matthew struggles to come to terms with the fact that Scotland of 1688 bears little resemblance to his lovingly conserved memories, Alex is forced to confront unresolved issues from her past, including her overly curious brother-in-law, Luke Graham. And then there’s the further complication of the dashing, flamboyant Viscount Dundee, a man who knocks Alex completely off her feet. All the turmoil that accompanies their return to Scotland pales into insignificance when a letter arrives, detailing the calamities threatening their youngest daughter in Maryland – at the hand of that most obnoxious minister, Richard Campbell. Matthew and Alex have no choice but to hasten back, no matter the heartache this causes. Will they make it back in time? And what will Richard Campbell do? I know exactly what you mean — the books I enjoy the most are the most difficult to review. It’s harder to get outside them and look at them descriptively when you’re really into the book. Glad to have caught this review. Hi, I, too, know how you feel when you love, love, love a book and have it for review. I want to leap at people and shout, “Read this!” Thank you for this lovely post.